Government planners believe driverless cars, if determined to be safer, could lead to narrowed traffic lanes. The McLean County Regional Planning Commission analyzes all kinds of data, including trends in population, industry and consumer habits to help guide communities in how they prepare for the future. Its analysis helps communities determine land use, infrastructure and other needs to foster sustainable growth. Transportation is a major component of regional planning, in a country which has almost as many cars as it has people. 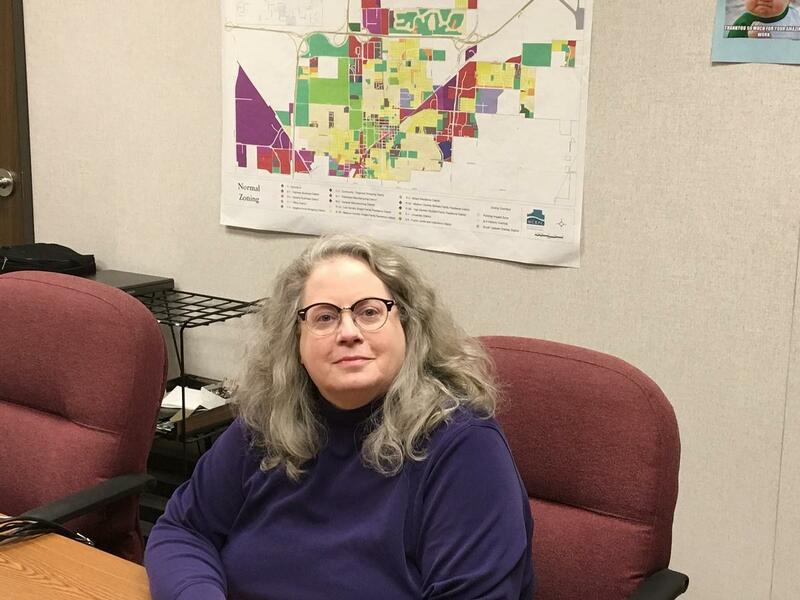 McLean County Regional Planning Commission Senior Transportation Planner Jennifer Sicks said Americans' fascination with cars could limit the ride sharing potential some autonomous vehicle advocates envision. Sicks has been overseeing transportation issues for the commission for 17 years. She envisions autonomous vehicles will someday be part of a vast electronic grid where cars on the road communicate with this network and with each other. Think air traffic control – only on pavement and without the human controllers. Sicks said it remains to be seen whether such a grid would be managed by the federal government, just as air travel is in the United States and most other countries, or whether private companies would beat them to the punch. The grid concept is designed to make these driverless cars less likely to crash. If proven true, traffic lanes could be narrowed, what the industry calls a road diet. That could lead to more space for communities to plan for industry, greenspace or other amenities. There’s one dimension to autonomous vehicle technology that could dramatically change how communities are built. It’s centered on the concept that these cars that ferry us from here to there wouldn’t have to occupy space in parking lots for long periods of time. “Facilities that would ordinarily draw a lot of cars; shopping malls, concert venues, all the kinds of places where ordinarily you would expect to need a lot of parking – even if on a day-to-day basis it isn’t used that much, maybe we don’t need it all, or maybe we need far fewer slots in those parking lots because most people’s cars will trundle off and go somewhere else,” Sicks said. If a car could be programmed to pick us up at the store and drive us home, would we even need to have a vehicle in our possession around the clock? Connect Transit General Manager Isaac Thorne said his transportation agency could someday use driverless vehicle to reach lower-density areas in areas that currently aren't cost effective to reach. Ride-sharing, which has already become a growth industry because of companies like Uber and Lyft, could enter a new dimension if autonomous vehicle technology prompts more motorists to untether themselves from their vehicle. Expanded ride sharing could also provide an opportunity for public transportation, such as Connect Transit, to expand service. Connect Transit General Manager Isaac Thorne said he views the potential for self-driving vehicles to be a potential growth area for public transportation. He said even if the technology makes ride-sharing programs like Uber and Lyft more popular, there will always be a need for mass transit on a larger scale. “Public transit is going to stay because you can’t move that many people in an autonomous vehicle – even if it does carry six – over a 40-foot bus that carries 70 passengers an hour,” Thorne declared. Thorne imagines autonomous vehicles would enable the transit agency to access riders in lower-density areas. He added most Connect Transit routes throughout the week average from 35 to 60 boardings per hour. Thorne acknowledged public transportation could reduce its costs by removing drivers, noting drivers are a transit service’s biggest expense, but he doesn’t envision that on-bus staffer going away entirely. 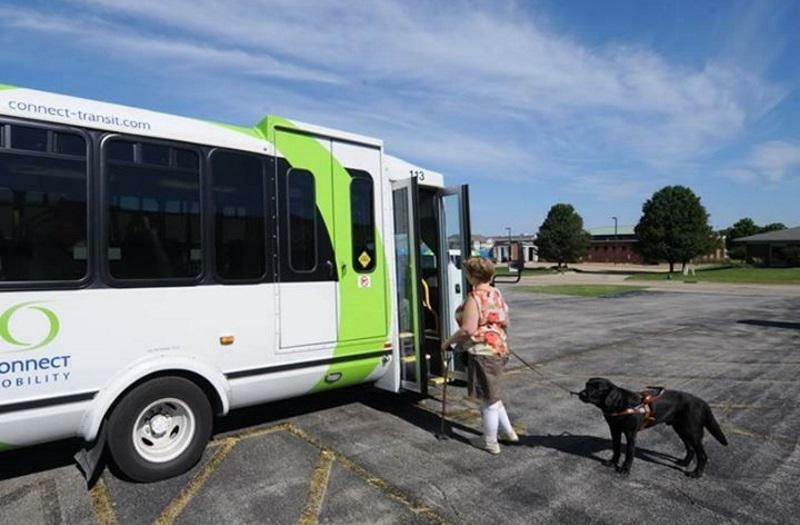 Connect Transit employs 90 full-time drivers among a staff of 130 employees. Thorne said he’s had discussions about driverless technology with Bloomington, Normal and the Regional Planning Commission, but he warned it’s too soon to plan when so little is known about how or when the technology will emerge. “I think one of the misconceptions is that people think this is right around the corner,” Thorne said. “I think we are 10, 15 years off from this being a true reality. Government leaders in Bloomington, Normal and McLean County say they are excited about what autonomous vehicle technology might bring, but they tap the brakes before discussing its potential impacts. Normal Public Works Director Wayne Aldrich said garbage and recycling trucks would likely be the first public works vehicles that could become fully autonomous. 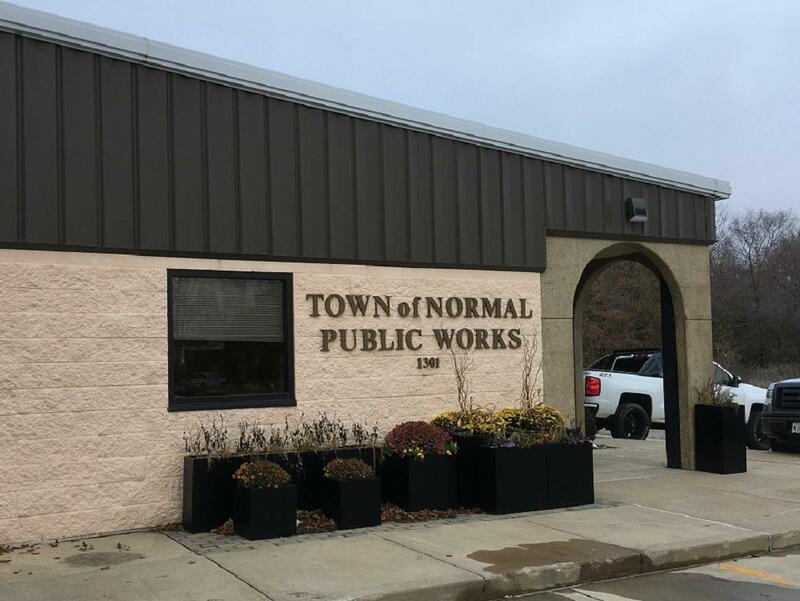 Normal’s Public Works Director Wayne Aldrich is a former project manager for the Illinois Department of Transportation and has been in transportation for 35 years. He believes it will take a driverless vehicle overhaul to make driving safe enough to allow roads to be downsized. In the meantime, Aldrich imagines multilane roads such as interstates could dedicate some lanes to exclusively autonomous traffic, similar to carpool lanes. He believes if public works adopts driverless technology, it would likely start with garbage and recycling trucks. He noted Bloomington and Normal also use sidearm loaders to lift the containers while cameras and sensor technology is already available for these types of vehicles. “There’s that technology out there so a vehicle running its own route and sensing there’s a trash receptacle out there and picking up the trash receptacle, I think that’s very possible,” Aldrich said. Bloomington City Manager Tim Gleason said autonomous vehicle technology presents potential, but it's potential impacts are still unknown. Bloomington City Manager Tim Gleason said city and regional planners have engaged in preliminary discussions regarding the technology. He said even with all the logistical challenges and unanswered questions, he believes driverless cars will likely prove to be worth the investment of time and resources. 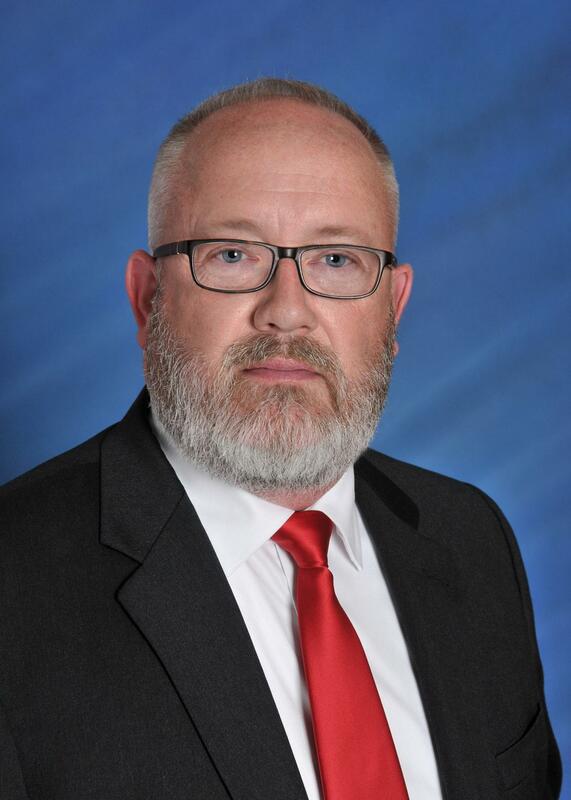 McLean County Board Chairman John McIntyre said he’s grateful for Rivian's emergence in the autonomous vehicle landscape, but said the county is likely still years away from needing to accommodate the technology on a broader scale. McLean County and several other taxing bodies provided economic incentives for Rivian to build a plant in Normal. While government planners are eager to see how driverless technology could create new opportunities for land use redevelopment, the Regional Planning Commission’s Jennifer Sicks acknowledges much of those changes rely on changing the habits of the American consumer, in a country that has had a long love affair with cars and the power and convenience they offer. Sicks said the Regional Planning Commission has been involved in discussions with the Illinois Department of Transportation to bring driverless vehicle testing to Central Illinois. She considers this to be an ideal setting to test autonomous vehicle technology, noting the vehicle testing Rivian's predecessor, Mitsubishi Motors, conducted when it operated its plant in Normal. GLT's story about autonomous vehicles and city planning. 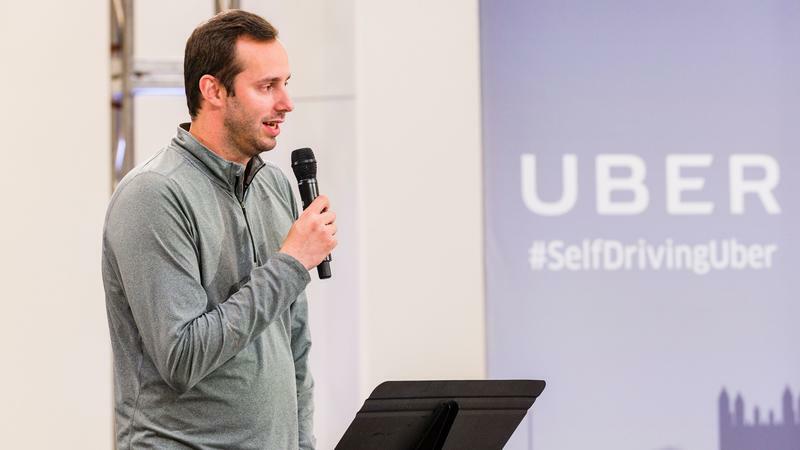 Waymo, the company that began as Google's self-driving-car project, is suing Uber — alleging that when Uber bought a startup founded by Waymo veterans, it also bought thousands of design files that had been inappropriately downloaded from its servers. In its lawsuit, Waymo cites forensic evidence as well as a vendor's email that it received by mistake.